From our programming to resources, identity to strategic direction, the volunteer board and committees drive Apra-IL. Megan is the Senior Assistant Director, Prospect Research, at the University of Chicago's Booth School of Business. Previously, she worked with the American Library Association as Manager, Campaign for America's Libraries. Peter is a Prospect Research Analyst at Loyola University Chicago. He has been a member of APRA-IL since 2016. Peter got into prospect management and research after finishing his PhD in early American history at Loyola. 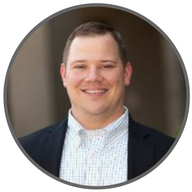 Before joining the team at Loyola University, he was the Associate Director of Prospect Research at Loyola Academy. Outside of work, Peter enjoys reading, finding new television shows to enjoy, and traveling. Keli started volunteering with APRA-IL in 2017 on the Programming & Professional Advancement Committee. She is an Assistant Director of Prospect Research at the University of Chicago's Booth School of Business. Previously she worked in prospect research at the Chicago Symphony Orchestra and in development at Marquette University. 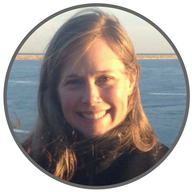 Amy joined the National Audubon Society as a development research associate in 2018. Previously, she held prospect research positions at North Park University, Elmhurst College, and Rush University Medical Center. 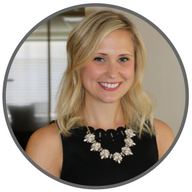 Amy has been involved with the programming committee of APRA-IL and credits chapter involvement for her professional development and her vast network of development professionals in the Chicago area. When she’s not at work, you can find her laughing her head off with her hilarious daughters or enjoying an evening with chums on a pretty decent pub trivia team. Julie Fregetto serves as the Manager of Prospect Review, Research and Analysis for the Evangelical Church in America (ELCA). In this position, she oversees the prospect management and development program for the Mission Advancement Unit. 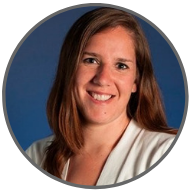 Prior to joining the ELCA, Julie served as Senior Associate for a philanthropic consulting company and worked for the University of Illinois at Chicago College of Business Administration in the Development Office. 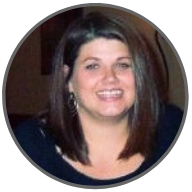 Julie completed her Master’s in Business Administration from Northeastern Illinois University and received a Bachelor’s in Business Marketing from West Virginia Wesleyan College. Kathryn is a proud representative of Wisconsin here on the APRA-IL board. 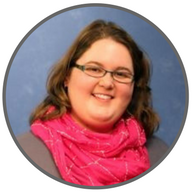 She has worked at the Wisconsin Foundation and Alumni Association since 2015; first in Prospect Research and now as the Senior Prospect Identification Analyst focused on proactive identification. Previously, she worked as a corporate archivist and librarian. Outside of work, Kathryn enjoys reading, road trips, and exploring interesting and unusual sights both domestically and abroad. The strength of APRA-IL lies in our volunteers. Members are encouraged to participate and help make APRA-IL a great resource and community for all of us. Ask us how you can get involved! We have three primary committees responsible for APRA-Illinois' strategy, programming, and growth. Under the leadership for the Treasurer, The Finance and Governance Committee provides strategic guidance to APRA-IL relating to financial and legal matters. The committee manages our finances (budget, taxes) and our bylaws, best practices, and more. The Membership and Marketing Committee works to keep APRA-IL a strong resource and community for our members while working towards ongoing growth through new-member recruitment. The committee is also responsible for the APRA-IL brand, marketing strategy, social media presence, and our blog. The Programming & Professional Advancement Committee plans and executes APRA-IL's programming. They are the brains and brawn behind our Fall Conferences, Basic Skills Workshops, Salons, Field Trips, social events, and webinars.